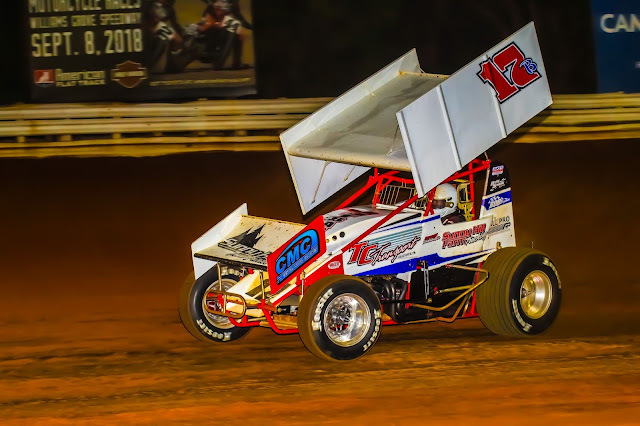 Mechanicsburg – Steve Buckwalter of Royersford wired the field to pick up the Walt Dyer Tribute Race at Williams Grove Speedway on Friday night, pocketing $4,610 for his ninth career sprint car win at the oval. Austin Bishop likewise wired the field in the 305 sprint main to pick up his second 305 win of the season at Williams Grove Speedway. Buckwalter started on the pole of the 25-lap 410 sprint car main with TJ Stutts to his outside. The first start of the main was red flagged for a five-car tangle coming out of the third turn that collected Chad Trout, Mallie Shuster, Rodney Westhafer, Ryan Taylor and Danny Dietrich. 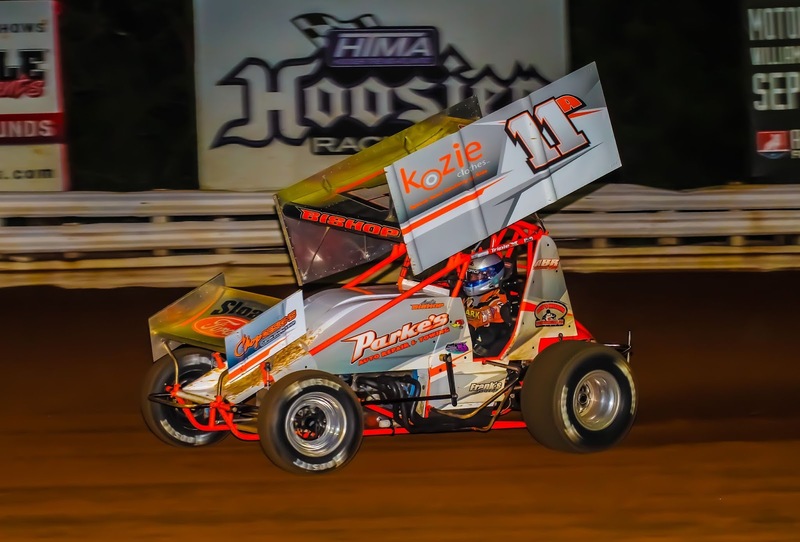 The ensuing restart saw Buckwalter take control over Stutts and Greg Hodnett in what would turn out to be a non-stop affair. Campaigning a throw back paint scheme in honor of Dyer and his iconic No. 461 race car, Lance Dewease started fifth in the field and battled fourth starter Anthony Macri for the first half of the race in an effort to take the fourth spot. 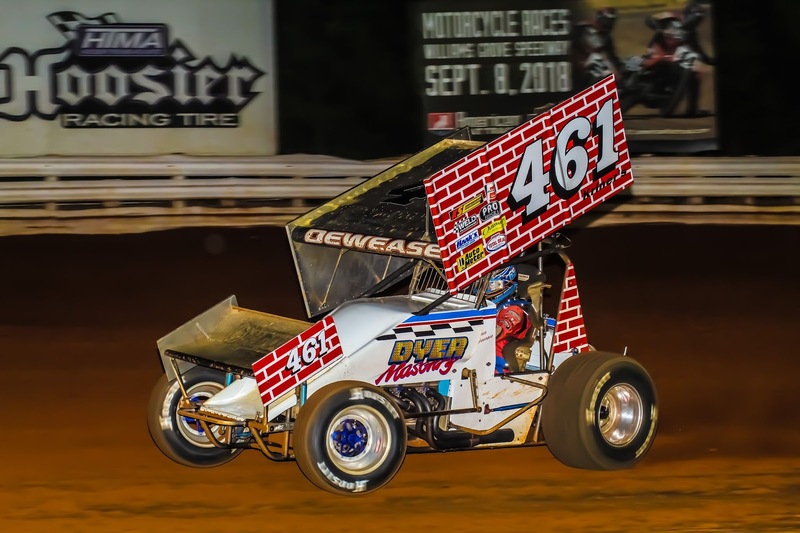 Dewease was on a campaign to pick up the feature in honor of his former car owner Dyer however it was not to be as Buckwalter proved stout at the point. Hodnett got by Stutts for second on the seventh tour and chased Buckwalter over the rest of the distance but was never able to get close enough to mount a challenge. Buckwalter and his No. 17B ended up crossing the finish line .805 seconds ahead of Hodnett with Stutts riding hom third followed by Dewease and Macri. Sixth through 10th went to Brock Zearfoss, Lucas Wolfe, Cory Haas, Aaron Ott and Brian Montieth. Heats went to Montieth, Stutts and Macri with Alan Krimes taking the consolation race. Lance Dewease set quick time with a lap of 16.556 seconds. Bishop led all 20 l aps of the 305 sprint main to pick up his win. Ken Duke Jr. lost second early in the race but then reclaimed the spot for the finish. Jeff Geiges rode hom third followed by Scott Ellerman and Zach Newlin. Heats for the 42 cars in action went to Rick Stief, Mike Alleman, Darren Miller and Jon Scarborough. Twin consolations went to Jonathan Jones and Alex Potosky.